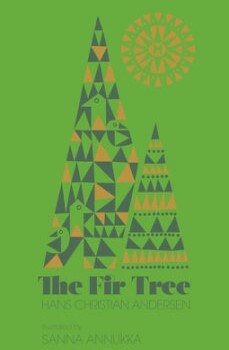 I absolutely adore this beautiful little book by renowned tale-teller Hans Christian Andersen. The cloth binding and the illustrations are beautiful and classic. This will be a keeper for sure, perhaps even a new family heirloom for us! 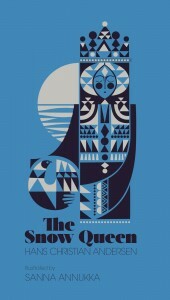 Hans Christian Andersen’s tragic tale of naive greed and dissatisfaction is retold through the striking and contemporary illustrations of Finnish illustrator Sanna Annukka. 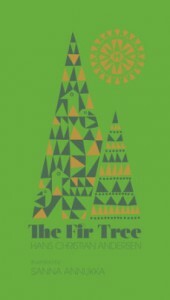 Cloth-bound in rich forest green, with gold foil embellishments, The Fir Tree is elevated from a children’s book to a unique work of art and makes an ideal gift for people of all ages.